16.7 million workers in England and Wales get to ‘the office’ either by driving themselves or catching a lift. This is 62.7% of employed people aged 16-74. Reliance is greatest in Wales where 74.2% of those in work use a car or van. After Wales comes the East Midlands (71.7%) and then the West Midlands (71.1%). The full regional split is in the table below. Even in London 29.8% of working residents commute by car or van ahead of the underground (22.6%), buses (14%) and trains (13.3%). The average length of a commuter trip by car/van varies little across English regions and Wales at about ten miles. It is highest in the South East (11.2 miles) and lowest in London (8.6 miles). While almost three-quarters (73.4%) of rural workers in England and Wales now journey to work by car or van, these methods of travel also dominate the commute in urban areas (outside of London) with 67.1% of people either driving themselves or catching a lift. The numbers are revealed in an RAC Foundation report called The Car and the Commute. 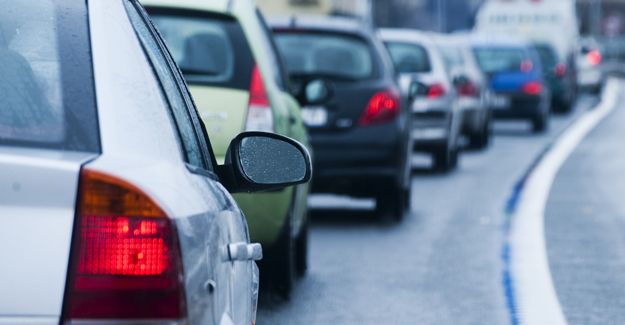 The research takes journey to work data from the 2011 Census and compares it to land use information to give a detailed picture of car dependency across England and Wales. It also uses National Travel Survey data. “When it comes to commuting there’s life inside the M25 and life outside it. In the capital public transport is a real alternative to the car as a method of getting to work. But take London out of the equation and the level of car dependency in England and Wales is huge, not just in rural areas but also urban ones. “The coalition government has rightly prioritised efforts to get the nation working, but Westminster politicians must remember how the nation actually travels to work. People are still driving despite a decade in which the cost of running a car has outstripped wage inflation. The reason for this is that most people have no practical choice. “800,000 of the poorest car-owning households already spend more than a quarter of their disposable income on buying and running a vehicle. The danger is that people will be put off from taking up employment because they just can’t afford the commute.